From the Classic collection, the Northumbria's longer length makes it perfect for throwing over a suit to keep warm and dry, but its robust construction means it's well-equipped for heavy duty outdoor wear too. 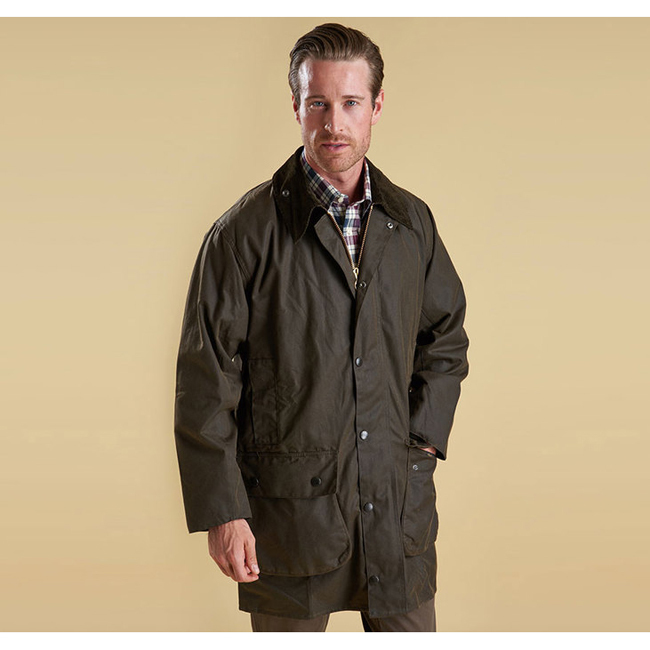 Signature Barbour details include the moleskin-lined handwarmer pockets, a storm fly front with stud fastenings to protect against wind and rain, and a two-way zip for ease of access and freedom of movement. The heritage-inspired tartan lining adds an extra stylish element, two bellow pockets keep essentials close at hand without adding bulk, and an inner zipped security pocket helps to safeguard valuables.